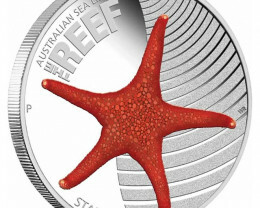 Australian waters host some of the most famous reef systems in the world. 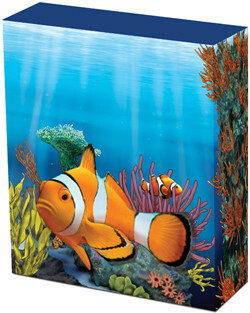 From spectacular tropical corals to towering forests of kelp, these dynamic environments are teeming with aquatic life. 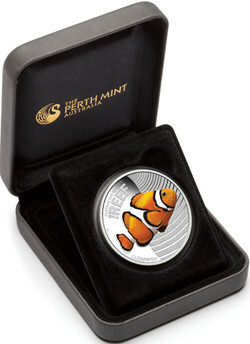 Celebrating five fascinating reef dwellers, this stunning collector series now includes a release portraying a Clownfish. 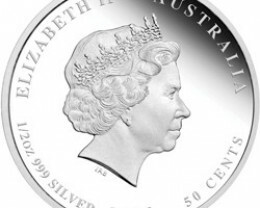 The coin is struck by The Perth Mint from 1/2oz of 99.9% pure silver in proof quality. 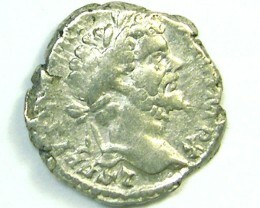 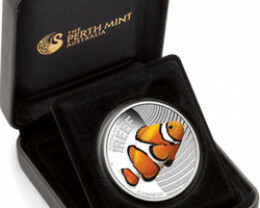 The coin’s reverse portrays a Clownfish in colour. 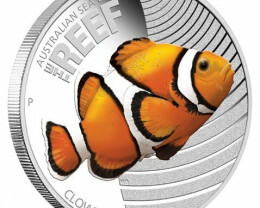 Bright orange with three black-bordered white stripes, this remarkable fish has natural protection from the stinging cells on the waving tentacles of the sea anemone in which it prefers to live. 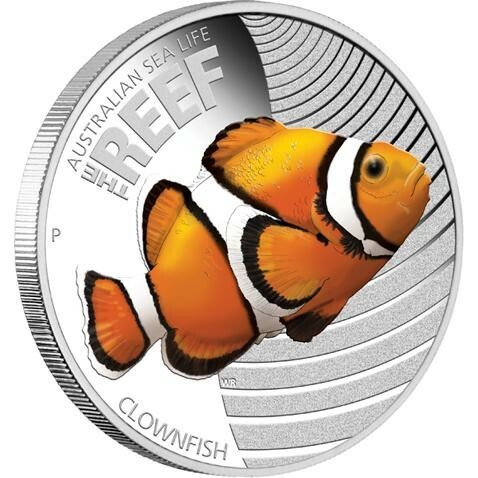 Growing up to 8cm in length, Clownfish occur in sheltered tropical waters, including the entire length of the Great Barrier Reef, Queensland. 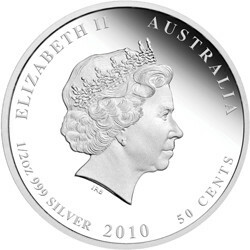 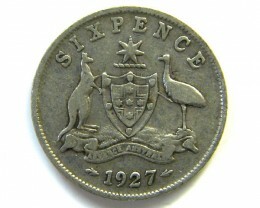 Issued as legal tender under the Australian Currency Act 1965, the coin bears the Ian Rank-Broadley effigy of Her Majesty Queen Elizabeth II and the 20 year-date on the obverse. 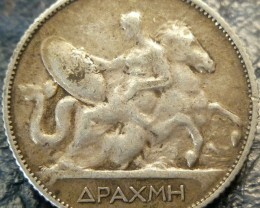 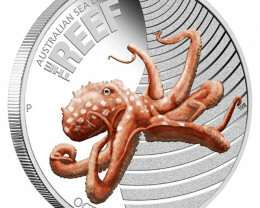 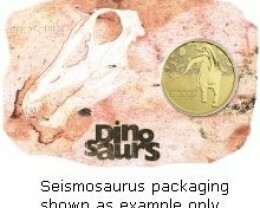 No more than 10,000 of these will be released by The Perth Mint. 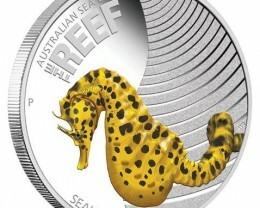 Previous releases: Lionfish, Leafy Sea Dragon. 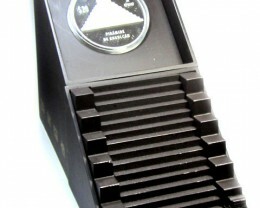 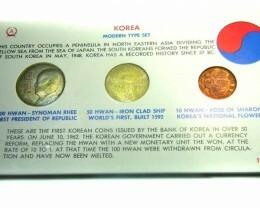 Each coin is housed in a presentation case which comes in a colourfully illustrated box-shipper. 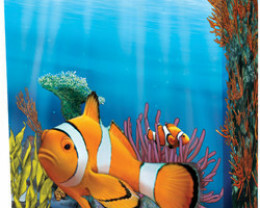 When lined-up in release order, the shipper illustrations form a linked image depicting all five reef creatures.